Unveiled at the 2018 Geneva Motor Show, the highly anticipated Huracán Performante Spyder is finally here. At Rybrook Lamborghini Bristol, we will be pleased to assist with the highest levels of customer service from your initial enquiry through to vehicle delivery. Once more, we will be able to keep your vehicle at its best through your ownership with our dedicated aftersales team. The Huracan Performante Spyder has been well received by the press since its launch, with Autocar saying it delivers an “intoxicating and immersing driving experience”. The Huracán Performante drops its roof to become a Spyder, with absolutely no compromise to the striking design. Every aspect of the exterior is designed with both performance and beauty in mind, its sharp, clean and finely-honed lines make it unmistakable. Move through to the interior and expect to find ultra-lightweight and Italian materials that add to the performance yet keep a luxurious and authentic feel. Alcantara upholstery adding a level of luxury to the carbon fibre seats and instruments crafted Forged Composites reduce weight further whilst remaining aesthetically pleasing. 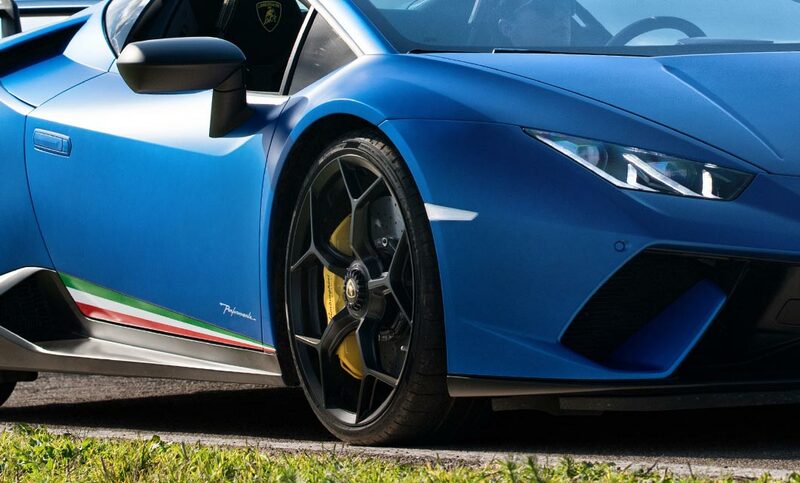 Emotion is heightened when the roof is lowered on the Huracan Performante with the added thrill of the wind in your hair and hearing the roar of that V10 engine. 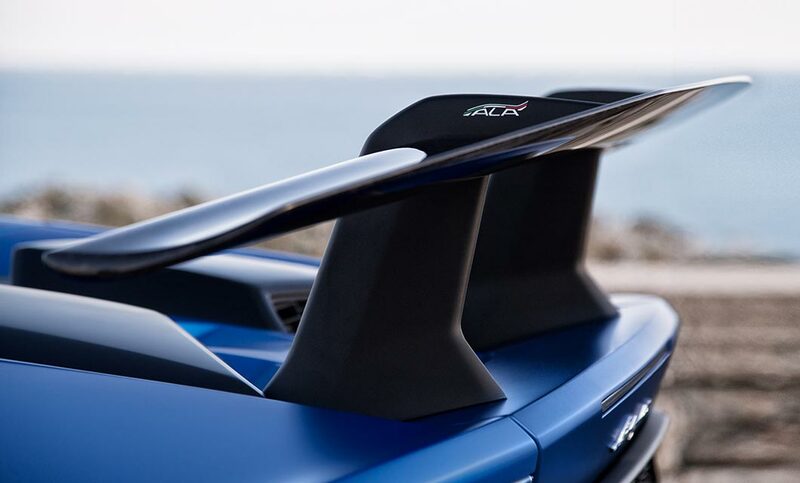 The Performante Spyder has been completely updated, with improvements to the naturally aspirated engine, updates of the steering and suspension, the use of ultra-lightweight materials throughout, and the introduction of ALA (Aerodinamica Lamborghini Attiva), an innovative active aerodynamic system to improve levels of performance and the driving experience. Weighing in at 35kg less than the Huracán 4WD Spyder and with an increase of 30bhp, this newest addition to the House of the Raging Bull has the best power-to-weight ratio in the Huracán Spyder range. Combine this with the more powerful V10 engine, extensive use of Forged Composites for weight reduction, the LDF 7-speed dual-clutch transmission, the updated HMI instrument panel graphics and the new ALA active aerodynamic system that controls air and direct in its favour to increase downforce, and the Performante Spyder will deliver an incomparable driving experience. Below are the technical specifications for the New Huracan Performante Spyder. Interested in a New Huracan Performante Spyder?